Life comes at us fast, so documenting the big and small events – and everything in between – with photography is a great way to capture life. 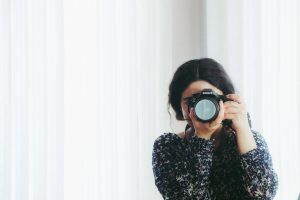 Even if you’re not a professional photographer, using your camera for fun is a great way to preserve the memories, and you’ll be glad you did someday. Bring your Camera! For starters, no matter how good you are at taking photos, it does you no good if your camera is at home or in the car. Get in the habit of bringing your camera everywhere you go; you never know what you’ll catch! Practice Makes Perfect! You know the old adage: practice makes perfect. And photography is no different. No one starts out as a photography pro, and that’s okay! Practice, practice, practice – you’ll be amazed by the skills you pick up simply by trying different lighting, angles, and settings on your camera. Don’t shoot on auto! It can be tempting to just shoot on the auto setting of your camera, but your photos can be greatly improved by trying out the other settings and learning how they work. Embrace the Movement! As a new photographer, it can be challenging figuring out how to take good shots when the subject is moving – especially kids. But once you do, your photos will look more real and everyone will have more fun taking them. Learn to shoot action shots and embrace movement in your shots! Mind the Light! One of the biggest mistakes newbies often make is to shoot directly into harsh light, which can ruin a photo if you’re not careful. Try shooting early in the morning or later in the day to avoid washing the photos out. Be careful of shadows and play with your settings to see which one works best in your environment. Try New Angles! It’s no secret, humans are creatures of habit, and that comes across in our photography, with tons of shots from the same angle and perspective. Change it up and try new things to expand your work and make your photos more interesting. Learn Photo-Editing Software! Even the best of photographers touch up their photos and improve the composition with photo-editing software like Photoshop and Lightroom, as well as tons of apps and free programs to make your photos even better. Find a system that works for you. If you’re ready to learn more about using your camera for fun, check out our Level 1 – DSLR Photography for Beginners Class. In this class, we’ll take the guesswork out of your DSLR camera and help you ultimately take better pictures. Focusing on everything from setting up your shoot to loading your pictures onto your computer, this course will teach you the basics of using your camera for fun to document life’s most important and fun moments. Learn more about the course and sign up here. Not ready for a big DSLR camera? No problem! You can do more than you might think with your smartphone camera. See our top tips for improving your phone photography here!